Conti Solar is an industry-leading solar power and energy storage development, EPC and O&M company. The company has installed over 500MW of solar projects since their early initiatives in 2008. The company leverage established partnerships with solar developers, IPPs, utilities, off-takers, suppliers and landowners to streamline project development, design, construction and operations. 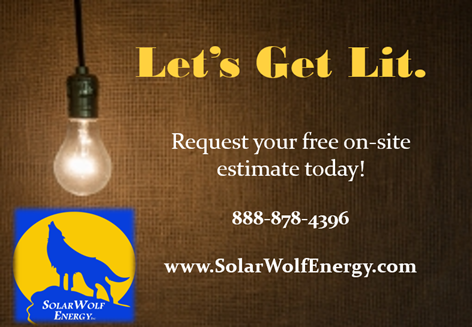 First Solar, Inc. are a leading global provider of comprehensive PV solar energy solutions. They design, manufacture, and sell PV solar modules and also develop, design, construct, and sell PV solar power systems that primarily use the modules they manufacture. Additionally, First Solar provides operations and maintenance (“O&M”) services to system owners. Headquartered in Temecula, California, Horizon is a leading marketer, designer and installer of turnkey residential and commercial solar systems. The company provides a fully integrated offering related to the marketing and installation of residential and commercial solar systems, including comprehensive system design, financing, installation, and maintenance solutions. Innovative Solar Systems is a leading solar PV systems installer across US. They provide totally engineered and installed commercial solar systems in the 20MW to 200MW+ range and also specialize in providing solar farms to large buyers seeking large-scale portfolios, in the 200 MW to 500 MW range. Itek Energy is leading solar PV module manufacturer. Since beginning production in 2012, Itek has shipped enough clean, renewable energy to power over 4,000 homes. Itek’s flagship facility is located in Bellingham, Washington, and they are providing the world with high-quality, assembled-in-America solar modules. Mission Solar Energy is a U.S. Photovoltaic (PV) solar module company based in San Antonio, Texas. The company proudly design, engineer & assemble high quality solar modules for a variety of rooftop and ground applications. Mission Solar Energy is passionate about providing state-of-the-art solar technology that is guaranteed to last, and is committed to continuing to provide the world with new solar technology through continued research and innovation. Strata Solar is a Chapel Hill, NC based company that promotes the development of sustainable energy production in the surrounding area. With over 1.3 GW commissioned and more than 3.5 GW under development – Strata Solar stands among the top solar providers in America. Strata Solar is also a national leader of utility scale solar energy systems and installations. Since 1985, SunPower has been leading global solar innovation. They are a leading global energy company dedicated to changing the way of the world is powered. They deliver complete solar solutions to residential, commercial and power plant customers worldwide. 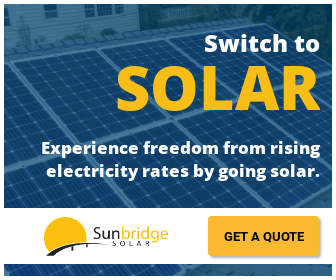 Vivint Solar, incorporated on August 12, 2011, offers distributed solar energy, electricity generated by a solar energy system installed at or near customers' locations, to residential customers. Through investment funds, the company owns solar energy systems it installs and provides solar electricity pursuant to long-term contracts with its customers. The company also sells solar energy systems outright to customers. VivoPower is a global solar power producer and storage company that develops, owns and operates photovoltaic (PV) solar projects in a capital efficient manner. VivoPower partners with long-term investors, suppliers and developers to accelerate the growth of its operating portfolio of solar projects.